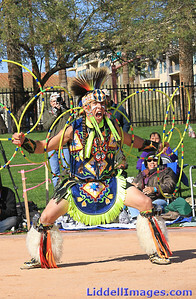 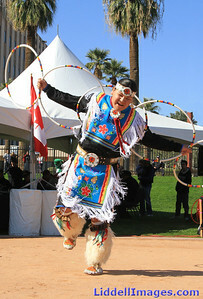 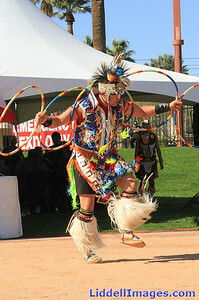 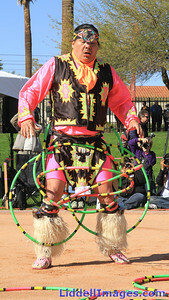 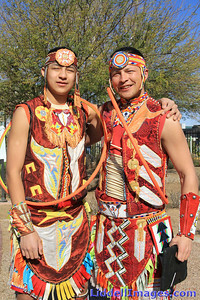 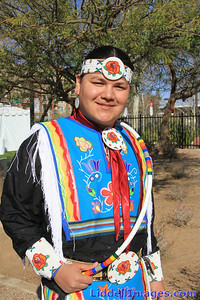 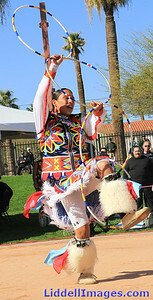 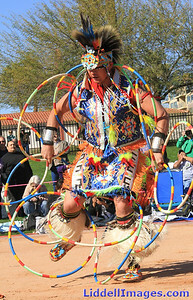 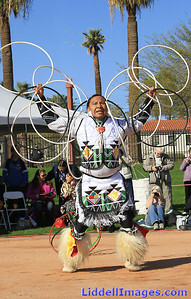 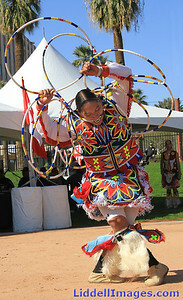 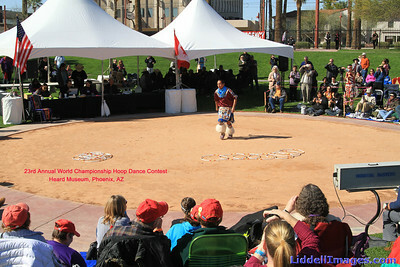 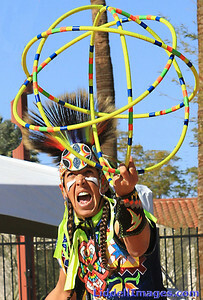 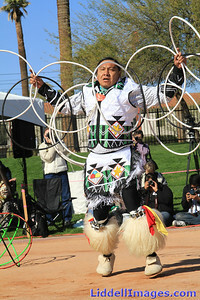 The 23rd Annual World Championship Indian Hoop Dance Contest was held recently at the Heard Museum, Phoenix, AZ. 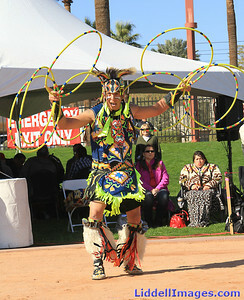 The program included tribal dancers in various age groups from Tiny Tots to Seniors. 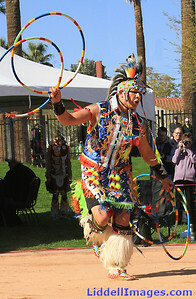 Many participants came from Canada as well as various states, including Hawaii, New York, Utah, New Mexico, North Carolina, Tennessee, Michigan and Arizona. 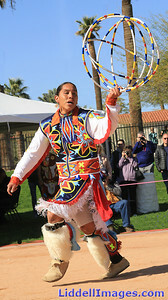 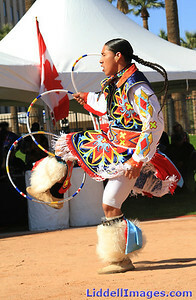 The tradition of dancing with a hoop has an extensive history among Native people. 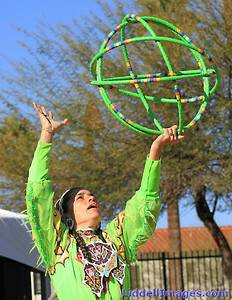 The hoop or circle is symbolic of all Native people. 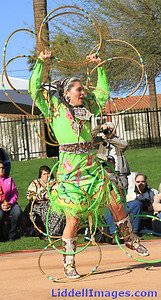 It represents the Circle of Life and the continuous cycle of summer and winter, day and night , male and female. 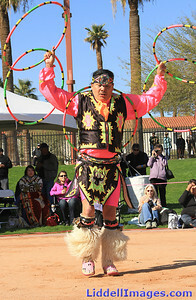 Some Native people use hoop dancing as part of a healing ceremony designed to restore balance and harmony in the world...which is not performed publicly. 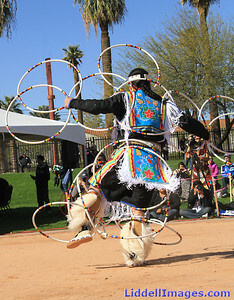 In these performances, dancers incorporated speed and agility as they manipulate their bodies through one to more than 50 hoops. 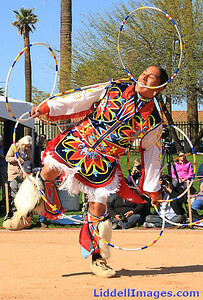 Some dancers also incorporate creative designs, animal or bird shapes and difficult manipulations of the hoops to present unique variations of the dance. 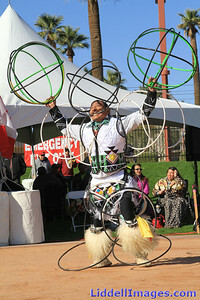 They dance to a multiple drum beat for five to seven minutes. 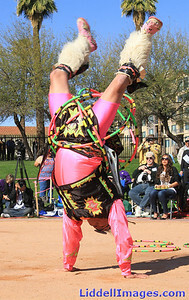 Most dancers also have bells attached to their lower legs to enhance the beat of the drums. 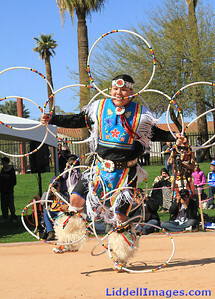 A triple Circle of Life..
Father and Son....... can you tell which is which?